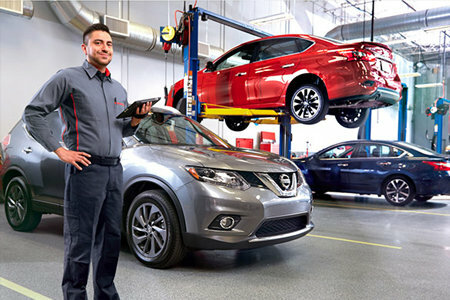 How Would You Rate Your Experience At Boardman Nissan? Boardman Nissan Always Appreciates Your Business. Should you have any questions about our web site or dealership please feel free to call us at 330-726-5555. Sam thank you very much for your help in getting me my first Nisson Morano SV. I went to buy a SUV not to lease. But Sam explained to me how leasing worked and I left with a brand new 2019 Nissan Morano SV witch was leased. He took the time to explain things in detail from beginning to end. Ask for Sam he will work very hard to get you what you want. Thanks again Sam loved my drive home in my new Nissan Morano SV. Demetrius Ison My credit wasn’t the best I needed a car and was very frustrated I was told to call Boardman Nissan they’ll help me! Didn’t need no one to help me I drove off with a 2016 Toyota Corralla! I was told making my payments on time will help rebuild my credit! So they were very helpful and I got a nice car! God answers prayers! Best Dealership! Mark got me into a car that fits my budget! The manager is friendly and works hard to make sure all customers are happy! Also a thanks to Dominic for his help! Isaac Schuster ????? 2 days ago Purchased a 2018 Black Nissan Sentra on 2/8/19. Levi helped me out. He did an AWESOME job! I told him what I was looking for and within a few days I was in my new car. I love it! Thanks Boardman Nissan! Kendoll Kirk ????? 4 days ago Went to the Nissan Dealership on a price for a second key for my car. I ENDED UP DRIVING OFF THE PARKING LOT WITH A NEW (not used!) 2018 NISSAN KICK (the color is black which is so me). DEMETRIUS YOU ARE THE MAN ALLLLL DAY-EVERYDAY. This man kept his word, very polite, professional and patient. I still in awe. What a blessing-had no idea I was set up to get a new car! GOD IS SO AMAZING! I want to say a big THANK YOU to Demetrius and everyone that was involved that made sure I left with a “new” vehicle! Morgan Paulus ????? 6 days ago Amanda and Ryan did an amazing job getting us into the perfect car just in time for the new baby! So many dealerships told us they could t do anything for us until we came there really expecting the same answer and are super happy with the outcome! I absolutely love my new 2019 Rogue! Erin Carlson ????? 1 week ago Can't say enough great things! Cody Murray went above and beyond to make sure that everything went perfect for me! He went over details about my car I didn't even know existed! So happy and highly recommend! Charles Borton ????? 2 weeks ago Not only can I say James Chismark is a beast at what he does and how he has helped me, but a very honest dude when it comes to business. He has a good name for himself out here!!! This is the second Nissan we got from Boardman Nissan and their employees and service is amazing. They strive for excellence and in my book they have it. Always pleasant and easy to deal with. Terri is an amazing example of great customer service! He made sure I got the car I have always wished of having. He was very good at telling me all the things I needed to know about the car and the leasing policies! The car we had an appointment to see was sold before we got their.They had a 2016 we ended up purchasing instead,our salesman Westley was very nice and knowledgeable. All in all good experience. If you stop in at Boardman Nissan ask for Chuck, he made my car buying experience a true delight. I really appreciate the time and effort he made to find me the right car. The sales process was so easy.